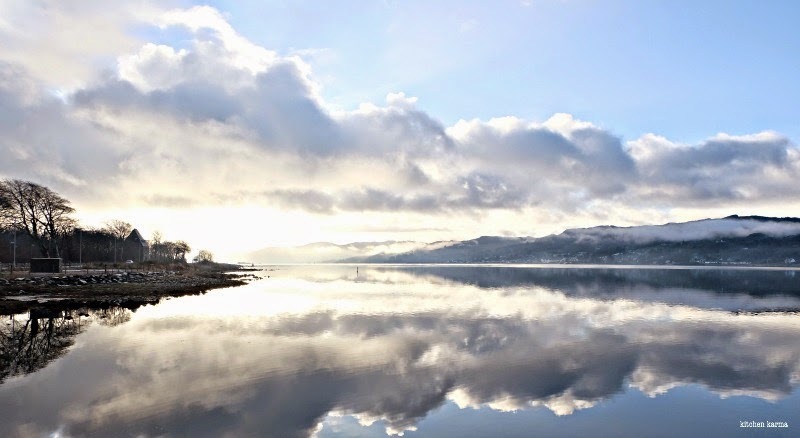 Loch Fyne shot from Inveraray pier on a sunny December day. The lake was half frozen that cold morning. Hello folks, how are you all? Wishing you a Happy New Year! Hopefully 2015 started on a good note for you and will continue to do so. Here's wishing you peace, good health, happiness, laughter and prosperity. 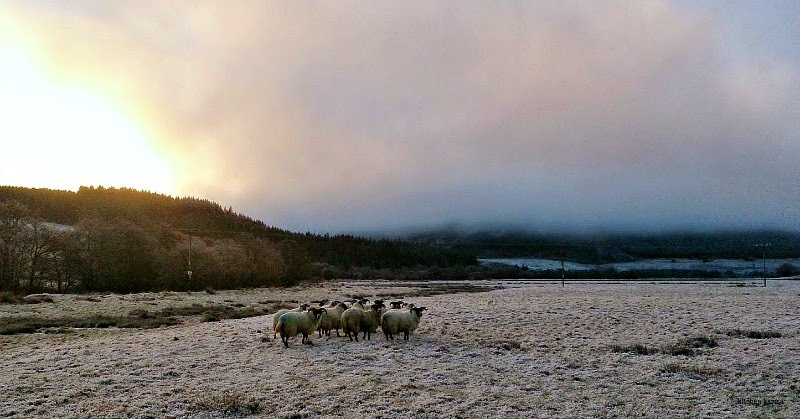 This was around 9.30 in the morning with my SonyXperia mobile phone camera shot on the day we were coming back. The sun was still struggling to come out of the clouds. 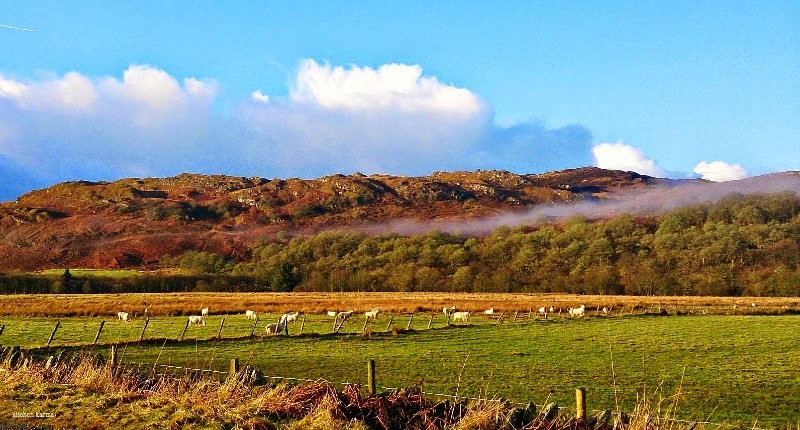 There was a heavy mist and it was with us all the way till Cumbria. The mist make everything look surreal and spooky. We were away for Christmas this year. My husband wanted to utilise the holidays and go on a retreat of sorts, away from the madding crowds, huge Christmas feasts and hectic festive socialisation. We took off on the 21st and returned on the 30th and drove straight to a friend's birthday party. There has been something or the other every evening till yesterday, so much for peace and quite. How I made up for lost time! But for now even I am tired of socialising and it's a relief to get back to regular life! This was my first trip to Scotland, but my husband at one point in 2005-06 would every other weekend visit Scotland. He has done Edinburgh, Glasgow, Inverness numerous times, so this time he wanted to visit a part which is away from the usual tourist route and hopefully peaceful. 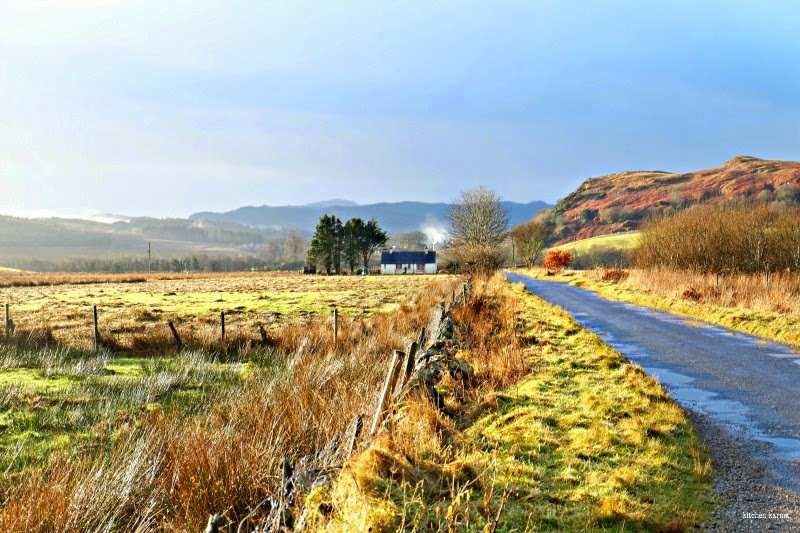 We chose the Argyll region which is not too far from Glasgow, but pretty remote. I am sure in summer it is heaving with domestic tourists, we crossed so many caravan parks and camping sites. This being not the tourist season in Scotland it was peaceful and there were hardly any tourists around. The local people were out and about in their own business. They were warm and friendly, always ready with a smile, a chat and a wave. I am in love with their sing song Scottish accent. Sadly did not get to see any men in kilt, but for that I guess we would have to go there during the festival time. 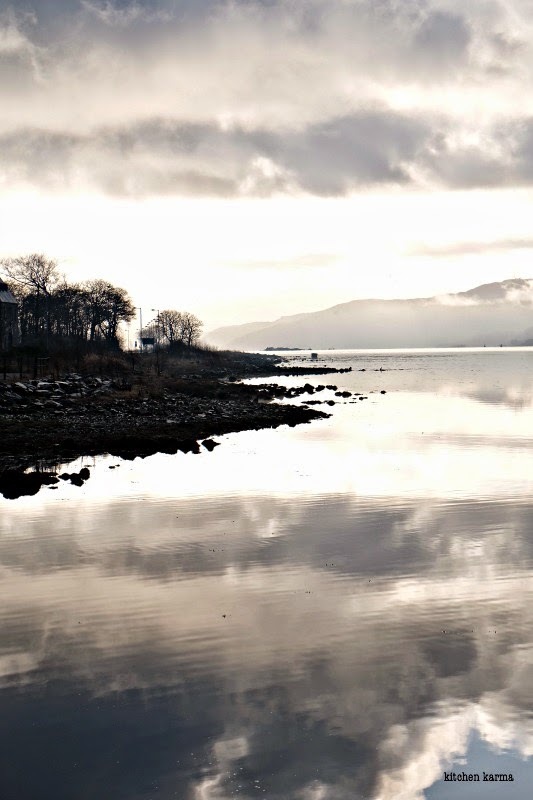 Another shot of the Loch Fyne shot from the lake shore and the houses of Furnace. It was early afternoon and was already getting late. We drove from London, on the first day we travelled till Carlisle in Cumbria. It took us about 6 hours what with traffic and mid way halts and by the time we reached we were so ready for bed! We stayed in a fantastic place called Willowbeck Lodge. In fact in all our travels this was one of the best places we have stayed in. I have only praises for the place and nothing negative to say about it . Run by two friendly souls Liz and John, they make sure that the stay is perfect for the guests. But they set pretty high standards for us right on the first day of the trip. This was 5 minutes drive away from where we stayed. The single track road we had to take to reach our cottage. By the time we finished breakfast next morning, it was raining cats & dogs. So we were forced to delay the journey by an hour or so. We started around 10 a.m., thankfully it cleared out soon afterwards. We reached Kilmichael Glassary where we were staying in a cottage for the week around 2.30 p.m. It was already getting dark and we had a little trouble reaching the place since the SatNav had no clue. The area has no mobile phone or internet connectivity. It wasn't very remote in the sense that it was immediately after a cluster of 5 houses. There was a river at the back of the property and some hens which kept us company. Apart from that there was not much happening. We knew that there was no television in the property and we purposely did not take any movies or documentaries with us. Absolutely what my husband wanted. He has had a really busy year and he just wanted to relax and be by himself. We did just that. Usually when we visit a place, we do lots of research beforehand, make lists of places of interest, the must-see, the must-dos, the must-tries. This time we had purposely done no research. We just went to the place and decided to go with the flow and do stuff that we wanted to at that point. For the next seven days we would daily go out around 9 in the morning after sunrise around 8.30, drive around, visit nearby towns and be back by 3 in the afternoon. It got dark by 3.30/4. We spent our evenings reading, playing scrabble/cards, chatting and making dinner. This holiday made me realise how distracted we are all the time in our busy lives. We are constantly doing something or checking something, talking on the phone or making lists or making plans. But at the cottage, once dinner was cleaned away, there was literally nothing to do. Initially I kept picking my phone up, in some remote hope that signal would miraculously appear. No signal appeared and after the first few days I stopped fiddling with my phone and just let it be. The stillness of the cottage and the lack of modern connectivity actually forced me to slow down and do nothing for a change. We would open the window in spite of the cold and listen to the gurgle of the river as it flowed by. It's such a soothing sound and could lull you to sleep if the cold did not freeze you.The darkness in the evenings was absolute and rather hypnotic to stare at. Yes I did stare out of the window quite a bit. Unknown lake on a remote road! 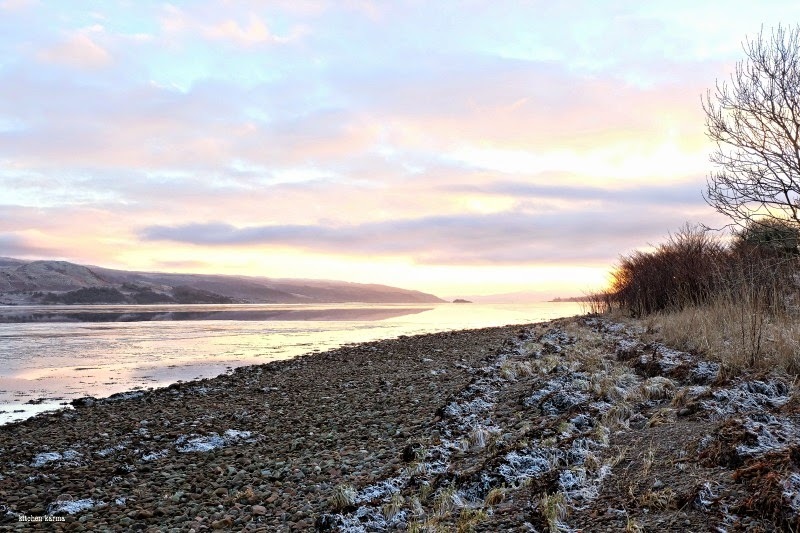 A little about the Argyll region of Scotland. 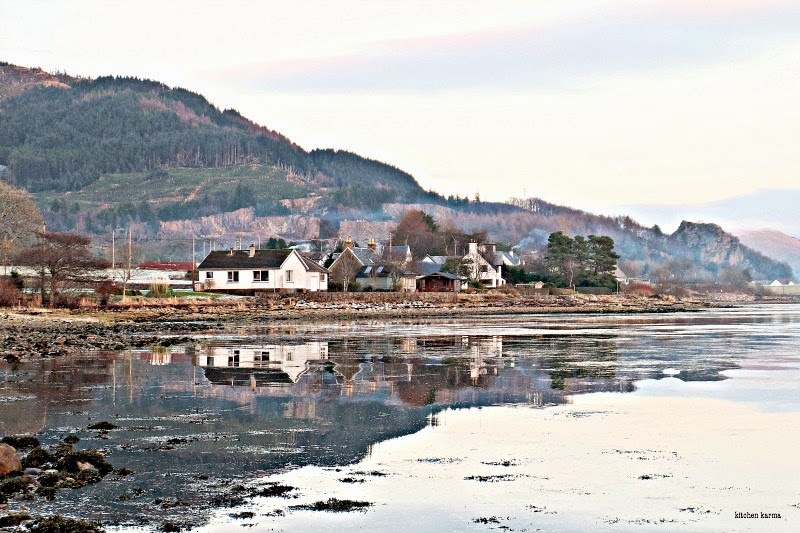 It is on the west coast, flanked by the Atlantic Ocean and has many serene lochs and wooded glens and is mostly a hilly forested area with rolling pastures where the sheep graze. There are islands dotting the area, we did not visit any. During summer biggest attractions are open air and water sports, hiking and walking in the mountains, fishing, visiting the many castles of the region and basically exploring the great outdoors. During winter pretty much most of the stuff are closed, there are hardly any tourists around. Without the crowds this remote region is pretty serene and scenery is stunning. Each frame is like a picture post card. Initially I went trigger crazy, then realised that since it is impossible to document every frame, I should just relax and soak in the beauty of the land as much as I can. Concentrate on the present and enjoy iy. 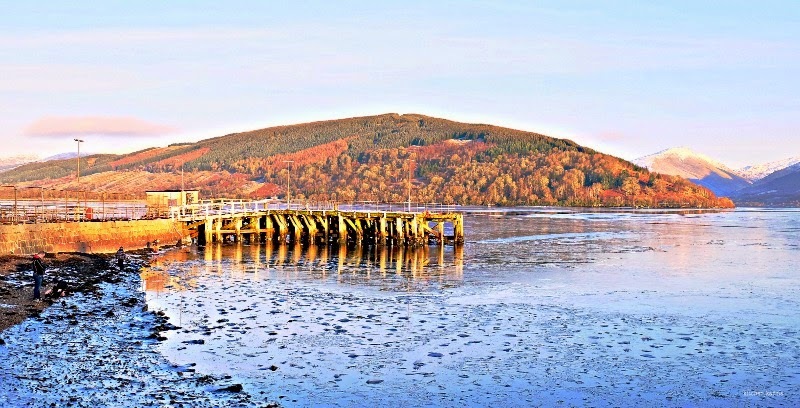 We explored some of the towns of the region--Loch Gilphead, Inveraray, Furnace, Oban, Tarbert and Campbeltown, walked along Loch Fyne, watched stunning sunsets and went on long drives. Some of the drives we went on were pretty interesting, posts on them coming soon! I went on this trip without much idea of what to expect. 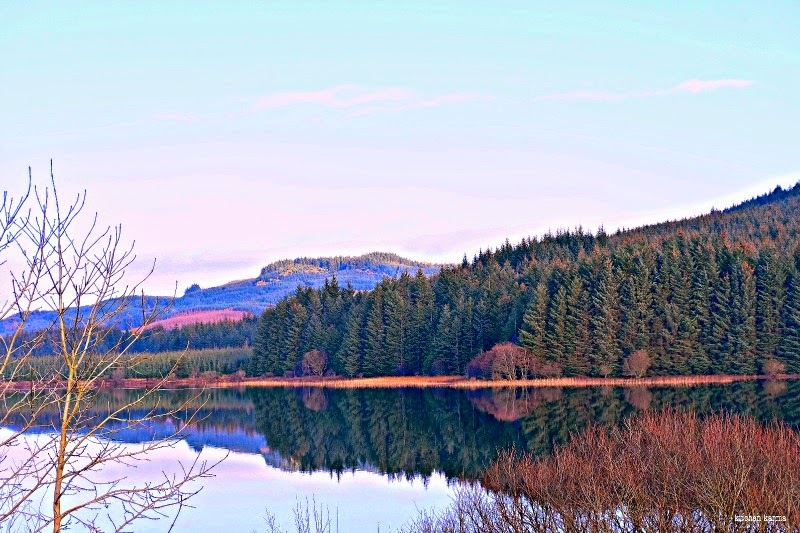 I fell in love with the beautiful land, the stunning sceneries, the pristine lakes, the wooded glens, the tiny dots of sheep grazing on green pastures, the green of the evergreen pines, the lingering rustic red and ochre fall colours. At the same time the lack of connectivity bored me, I felt cut off and disconnected from the world, the lonely roads at times spooked me out, the lack of people and traffic bothered me and I still shudder thinking about being left alone in that wilderness after dark. For a city girl like me it was an off beat experience and one that I enjoyed, give and take a few self induced stress. My husband and me, we were discussing if we could live this lonely, rustic life in the middle of nowhere. I don't think I am ready for that yet or would be in a long time. But once in a while such breaks are lovely.I think next time I would be better prepared since I will know what to expect. Scotland is always mysterious to me despite being there for several times. I simply love the air there even.and the cute sheep make my own world so unattached with the regular hurry burry life style. I would love more of these unplanned and remote kinda trips where we can soak ourselves in serenity and peace. Such lovely photos suchi..much love for scotland. Thts one side I missed visiting while living in Scotland. Thanks for capturing Argyl.... Loved ur holiday post. Scotland is a beautiful and one of my favorite destinations around the globe. I went there few months ago after completing my victorville ca to las vegas nv tours with my friends. Eilean Donan is one my favorite attractions of this country. 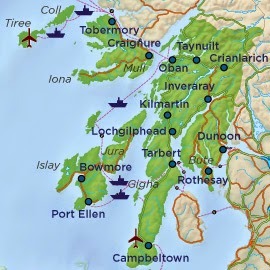 It is a small but a pretty island that is located in the western Highlands of Scotland. It is also a favorite destination among the photographers. What a beautiful place. I have researched so much about Scotland but never got the opportunity to visit the place...The snaps are perfect and reflects life within it. Thank u for the wonderful share. Just loved the blog. Keep posting with lots more.